We provide a FULL range of exceptional services for our clients, with industrial sumps, car washes, oil/water separators and maritime/waterfront fluid and solid removals. 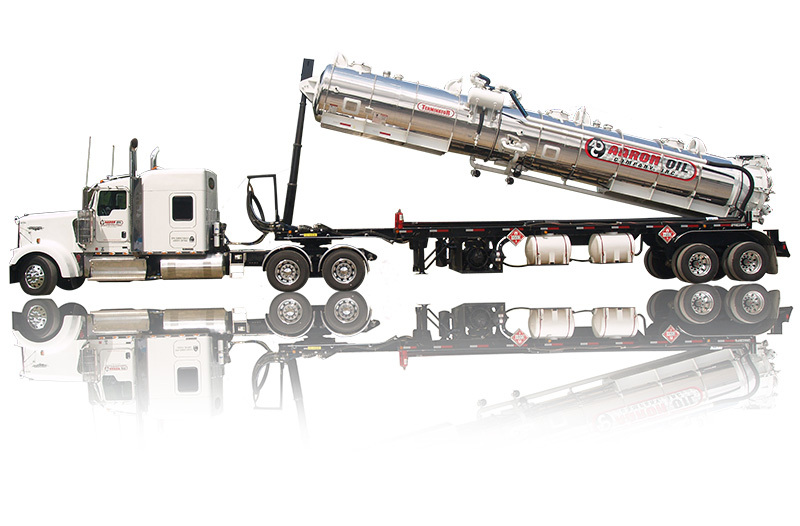 Aaron Oil owns, operates AND employs the most up-to-date fleets of bobtail and tractor-trailer tankers in the industry. Our operations team is on call 24 hours a day at each of its locations to assist our customers and services. Our dispatchers are equipped with the latest routing software to ensure fast response. Aaron Oil is equipped with the latest GPS technology for DOT regulatory compliance, service efficiency and trip documentation for complete regulatory compliance. We have invested millions of dollars in the latest truck, facilities, operations and process automation. Our proprietary software tracks all activities from cradle to grave in real time. Our transparent knowledge based approach to managing our operations are unique and innovative, setting a new standard for the oil recycling industry. We provide our customers with fully compliant pre-screenings, profile documentation, and of course, the Industry’s highest level of service and efficiency, all certified under the ISO 14001 and OHSAS 18001, the most rigid environmental health and safety standard in the world. We invite you to see OUR plant, processing facilities to see us, to see Aaron Oil in action. We don’t just provide services, we take all accepted materials back to Aaron Oil’s own processing facility and provide cradle to grave legitimate processes for all materials received.